Guitarists Howard Roberts and Tommy Tedesco and bassist Carole Kaye were all part of the team of studio musicians that had been featured on so many of the popular music recordings made in Los Angeles during the 60’s and into the 70’s. They played on many hit records, by Frank Sinatra, Nancy Sinatra, Nat “King” Cole, Gary Lewis and the Playboys, Mamas and Papas, 5th Dimension, Tijuana Brass, Ricky Nelson, Elvis Presley, Johnny Rivers, The Byrds, The Monkees, the Beach Boys, Motown hits by The Supremes, Brenda Holloway and others, and Phil Spector's Wall of Sound – to name just a few! When Tommy Tedesco was diagnosed with terminal cancer, his son Denny decided to create and direct this film to document the work of his father and his fellow studio musicians. Denny's English wife, Suzie Greene Tedesco, produced the film. The project started out 19 years ago and the first version of the film was shown at various festivals in 2008. The film features archive footage and more recent interviews with producers and arrangers Phil Spector, H. B. Barnum, Snuff Garrett, Bones Howe and Herb Alpert; stars from Sammy Davis Jr and Dean Martin, to Glen Campbell, Sonny & Cher and Sam Cooke; and, of course, the studio musicians including Plas Johnson, Carole Kaye, Hal Blaine, Al Casey, Don Randi, Joe Osborn, Tommy Tedesco, Barney Kessel and Howard Roberts. Brian Wilson and the Beach Boys are featured prominently as are Mickey Dolenz and The Monkees – and there is even an interview with Frank Zappa! Apparently it cost $750,000 to get the rights to use all the songs in the film and on the DVD, but the film is only expected to make about $100,000, so, eventually, they went to Kickstarter to get donations to make up the money. 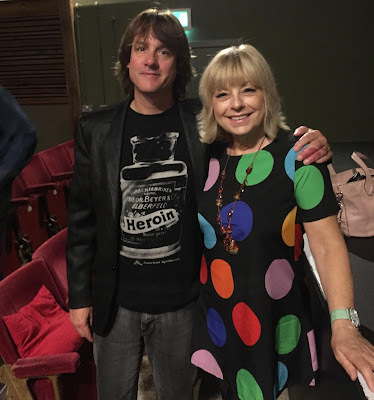 Immediately before the film was shown, Crouch End resident Mari Wilson sang acoustic arrangements of three of the hit songs from the movie, with guitarist Matt Backer accompanying. Finishing up with Be My Baby, she got the whole audience singing along – me included! The film has a poignant side to it when it is revealed that many of the top session players only had relatively short careers of even just 10 or 12 years before the calls stopped coming for them. Partly this happened because more records were being made by self-contained bands and singer-songwriters, who played on their own records, and partly when newer styles and younger players came along. 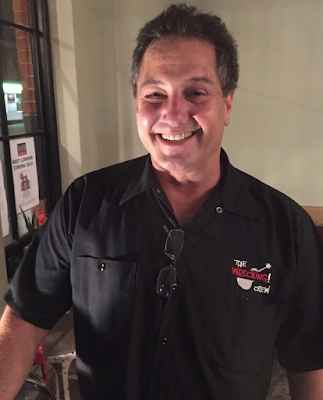 Older players, like Tommy Tedesco, had to turn to other ways of earning their livings, such as teaching or giving seminars. Denny said that his dad, Tommy, was actually a better player when he reached the age of 60, but, frustratingly, “he was only getting called to play on the more difficult sessions – on ‘Field of Dreams’ for James Horner, or for John Williams – Tommy played mandolin on the Godfather, for example.” And other members of the crew did the same. For me there were personal resonances: before I became a studio guitarist, I took lessons from Barney Kessel back in the 70’s and devoured the tutor books written by Tommy Tedesco and Howard Roberts around this time. What stays in the mind is how the film rolled along so quickly while the music just kept on coming! Hit after hit – a total of 110 songs used in the final cut – along with great footage of all those mentioned above, and more! Mike Collins is a music creator - producer, songwriter, studio musician - music technology consultant & author. The film was shown at the Artthouse in Crouch End between the 25th and 30th of June. It will be showing at Picturehouse Central in Soho on the 1st and 2nd of July, and then opens in Derby, Manchester, Glasgow, Perth, Ireland, and the DVD comes out on July 13th.